If you want to pen down a powerful issue essay, the following are some effective ways of doing just that. There’s no shortcut to success! It is important that you practice writing issue essays within the 30-minute time frame. This will not only help you understand your writing capabilities but also make you comfortable with the time constraint. Moreover, the topics in the "analyze an issue" task are pretty diverse, revolving around education, arts, technology, government and power, intellectual endeavors and philosophy. Practicing a sufficient number of sample essays will help you get acquainted with each of these topics, and you will be better prepared to face the AWA section on test day! Although time is a constraint, it is imperative that you take some time out to read and understand the issue and instructions properly, even if only a couple of minutes in the beginning. Jot down your thoughts around the issue. Writing down your thoughts helps you organize and structure your essay more effectively. Consider this example: “True beauty is found not in the exceptional but in the commonplace"
Writing down the points you wish to elaborate on, and in which order will make it considerably easier for you to structure your essay. For instance, What does beauty mean to you? What are your views on beauty being commonplace? What makes us appreciate beauty more in the exceptional and less in the commonplace? Leonardo da Vinci 's Mona Lisa is sure one of the most exceptional, and beautiful, paintings ever created. Few people who view the painting are not moved by the sheer beauty of it, and the Mona Lisa is instantly recognized as a masterpiece of art. And yet, there have been literally millions of paintings produced in human history. Is every single one of them beautiful? Does every one of those paintings have the impact that da Vinci's does? Of course not. In order to find beauty, we must separate the exceptional cases from the common ones. True beauty is such because it stands out from the masses of the average and pedestrian. The writer, here, beautifully exemplifies that beauty is not commonplace by giving the example of a piece of art that is well known to all, while effectively making his point. One of the qualities raters look for in an essay is clarity. Make sure your essay is clear and understandable and it doesn’t sound vague. Stick to the side you choose, and defend your essay using examples at your disposal even if you don’t believe in the side you choose. Never waver from the points that you are making. As a rule never use ‘I’ in the introductory or the concluding paragraphs. First person pronouns should appear only in the body paragraphs if you are using a personal example or sharing a personal experience to reiterate your stand. For example, do not write: “I do not agree with the statement that beauty is found not in the exceptional but in the commonplace”. Adding strong declarative statements in your essay makes it sound more confident. Therefore, look out for opportunities to use charged adjectives and adverbs to make your sentences strong and bold. Consider this statement from the essay paragraph above: “Few people who view the painting are not moved by the sheer beauty of it, and the Mona Lisa is instantly recognized as a masterpiece of art.” This statement declares Mona Lisa as a masterpiece and reiterates that beauty is found in the exceptional. A structured essay is a strong essay. Make sure you jot down the basic structure of your essay, its introduction, body, and conclusion. This structure helps you maintain the focus of the essay and ensures a smooth transition from one point to another. A structured essay is also easier to read and better to understand. Many-a-times, test takers focus way too much on the introduction and the main body. As a result, the conclusion appears shabby. Remember, your essay is evaluated holistically and therefore, every part matters. In conclusion, write a line or two introducing the opposing viewpoint. This demonstrates emotional and intellectual maturity in your thinking. Then, refute the argument in one or two sentences and reinforce the validity of your own point of view. This is often overlooked by most test takers, most often due to a time-crunch towards the end. Nevertheless, it is important that you takeout at least two minutes time to ensure that your essay is free of grammatical and spelling errors. This will enhance the overall appearance of your essay and cast a positive impression. Practice makes you perfect! So, whether it is your issue essay or your argument essay, getting sufficient practice of each essay type is a must. Moreover, there are a few different ways ETS may present the argument, so practicing prior to taking the test ensures you are familiar with the different kinds of argument essay topics. The Premise is: Seville’s accidents reduced by implementing a policy of reduced moped rentals from 50 to 25 per day. In order to construct your essay, read the argument carefully and pick up two to three assumptions. Of course, there might be much more assumptions but you would want to pick up only two or three to construct your essay. The central assumption in the example we have taken above is: Mopeds are the reason for accidents. The arguments presented always have flaws. Your task is to look for faulty conclusions misleading statements. Jot down these flaws as they can be used to your advantage. Accidents which can happen due to inclement weather, bad road conditions or violation of traffic rules. Other modes of transport can also lead to accidents. No data has been presented to zero-in on mopeds being the only reason for accidents. The author states that mopeds are a popular form of transport. While this may be true, 'popular' is a subjective term, and could quite literally mean anything. There is no backing to prove that everyone in the town uses mopeds as their primary form of transport. Mopeds may be most commonly used by some sections of residents or tourists and this is one of the questions that the council would have to find the answer to. If the council can determine how popular the use of mopeds is it will be able to evaluate the situation better. Using statements which are strong and declarative of your opinion boosts the confidence of the essay. If you look the essay paragraph above, the statement ‘There is no backing to prove that most people in the town use mopeds as their primary form of transport’ is a strong statement which indicates that you have found flaws within the presented argument. Although it seems like the author has put forth some valid points about the number of accidents in summer and their reduction, it is necessary that the town council considers all the related questions before taking any decision on the matter. Hence, it seems unlikely that any immediate action will be taken based on one recommendation by the author, but on investigating the matter further, the council might be able to decide on the best course of action. It is important that you takeout at least two minutes time to ensure that your essay is free of grammatical and spelling errors to improve its overall efficacy. 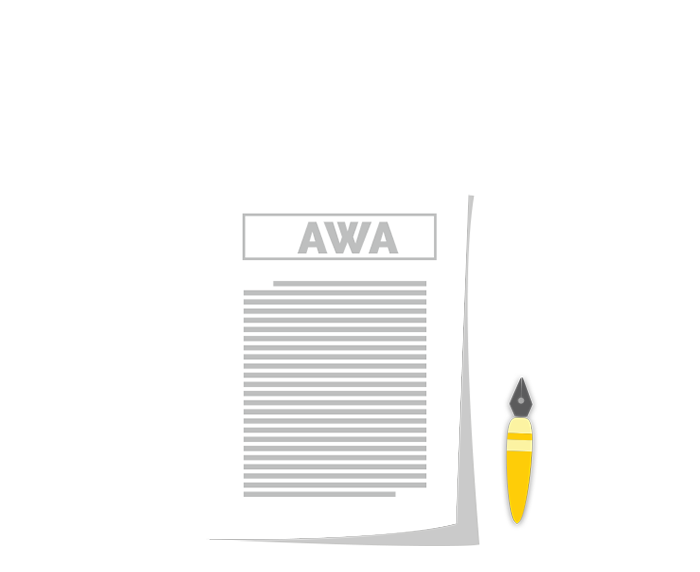 We hope these tips will come in handy at helping you achieve your target AWA score! So what else do you need? AWA Practice Questions! Get them here! Want to find out how you can write perfect essays every time? Download the exclusive GREedge guide to doing just that, now!